Diet-To-Go plan seemed to be a great option for individuals who wish to achieve weight loss or control their healthy lifestyle over time. 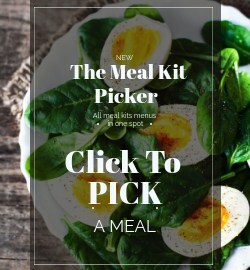 This meal is part of the Diet-To-Go Balance-Classic plan Dinner menu. 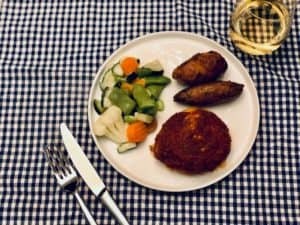 We enjoyed this one, and we have to say that since it is Fish dish, it seemed better to warm it in the oven and not microwave, so that’s what we did (even tough microwave will work good as well). 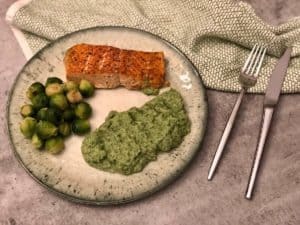 The Salmon was of High-quality, and we absolutely loved the delicate Spinach and cauliflower puree and baby brussel sprouts as sides to accompany the Salmon. 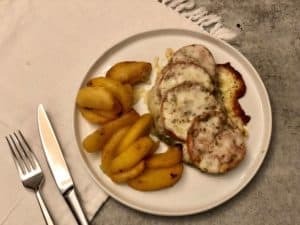 Overall a classEuropeanean flavored dish. Delightfull, healthy and not too heavy, perfect as a lovely dinner at home. And what made it even more perfect is the fact that it had a very low-calories count of only 420 calories! 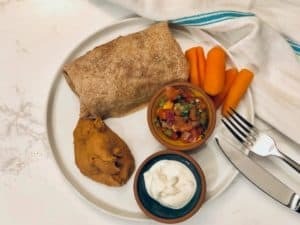 There is no doubt The Diet-To-Go plan seemed to be a great option for individuals who wish to achieve weight loss or control their healthy lifestyle over time.